If you can't decide whether you want to spend warm summer days at the beach, in the forest, or strolling around a different city, you can choose them all by taking your own portable micro-home on holidays with you. 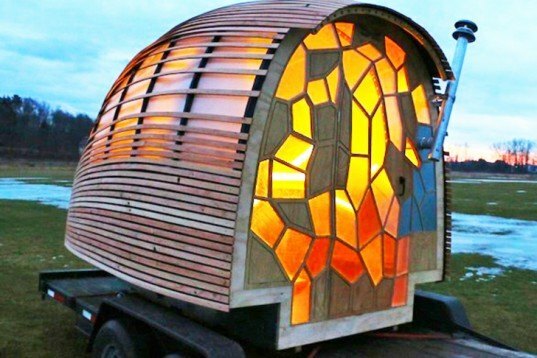 From an eco-lux camper trailer or self-sufficient walking house to a tricycle home complete with its own garden, check out our five favorite designs for the best nomadic summer imaginable. 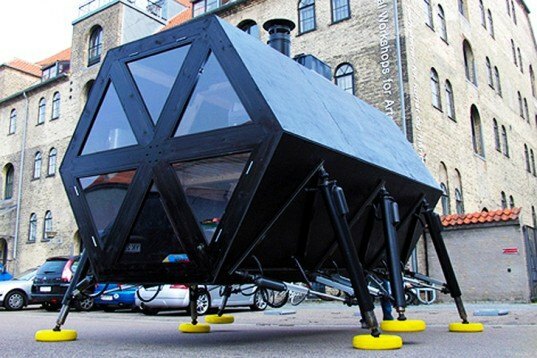 Danish experimental studio N55 designed a modular self-sufficient home that can walk. The Walking House is a sustainable living unit complete with solar panels, micro windmills, and a composting toilet. A group of students at Green Mountain College created a brilliant mobile shelter for the Renewable Energy and Ecological Design class. 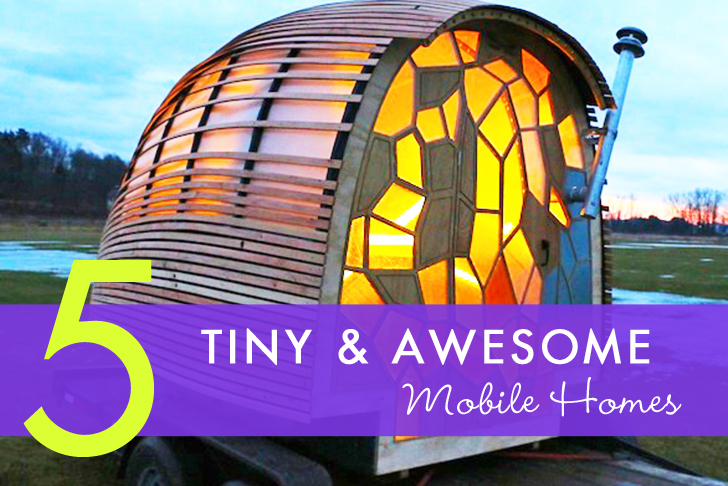 They called it OTIS (Optimal Traveling Independent Space), and its 70 square feet can hold a sleeping area and a rainwater collector, all powered by the sun and made from reclaimed materials. 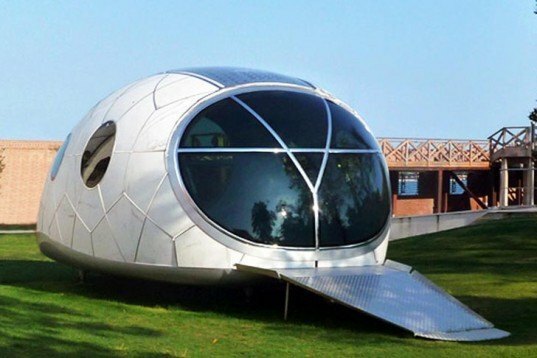 Italian studio Architecture and Vision designed a futuristic mobile lounge, which was unveiled at the Venice Biennale. Dubbed MercuryHouseOne, it’s equipped with all the latest sound and lighting equipment and is totally powered by the sun. 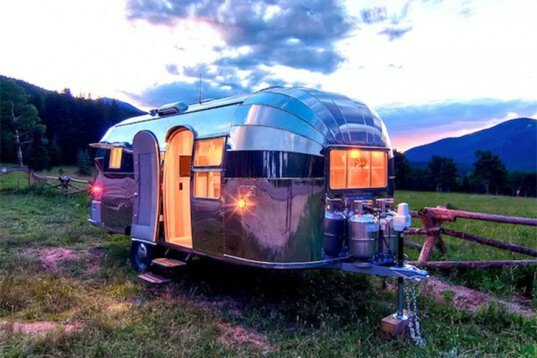 America’s outdoors company Timeless Travel Trailers found a 1954 Flying Cloud Airstream in amazing mint condition. Originally used as an old hunting and fishing lodge near a lake in Oregon, the restored vehicle now offers the perfect luxury shelter for outdoorsy adventurers. Moby1‘s stylish camping micro-home is a modern spin on the classic 50s Teardrop Trailer. Dubbed XTR, it includes a rooftop tent, space for a real mattress, running water, and solar panels for a comfortable stay out in the wild. Are there any INTERIOR photos for these trailers? N55's Walking House Danish experimental studio N55 designed a modular, self-sufficient home that can walk. The Walking House is a sustainable living unit complete with solar panels, micro windmills, and a composting toilet. Green Mountain College Student's OTIS A group of students at Green Mountain College created a brilliant mobile shelter for the Renewable Energy and Ecological Design class. They called it OTIS (Optimal Traveling Independent Space) and its 70 square feet hold a sleeping area and a rainwater collector, all powered by the sun and made from reclaimed materials. Architecture and Vision's MercuryHouseOne Italian studio Architecture and Vision designed a futuristic mobile lounge, which was unveiled at the Venice Biennale. Dubbed "MercuryHouseOne", it's equipped with all the latest sound and lighting equipment and is totally powered by the sun. Timeless Travel Trailers’ Renovated 50's Airstream America’s outdoors company Timeless Travel Trailers discovered a 1954 Flying Cloud Airstream in mint condition. Originally used as an old hunting and fishing lodge near a lake in Oregon, the restored vehicle now offers the perfect luxury shelter for outdoorsy adventurers. Moby1's XTR Moby1's stylish camping micro-home is a modern spin on the classic 50s Teardrop Trailer. 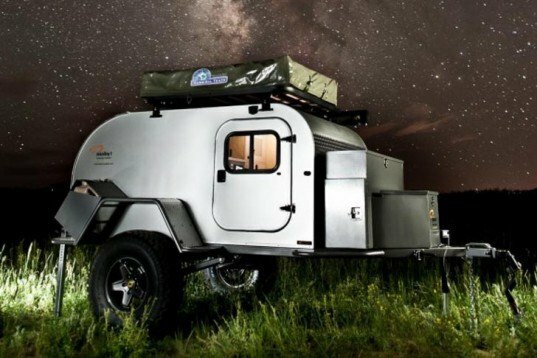 Dubbed XTR, it includes a rooftop tent, space for a real mattress, running water, and solar panels for a comfortable stay out in the wild.